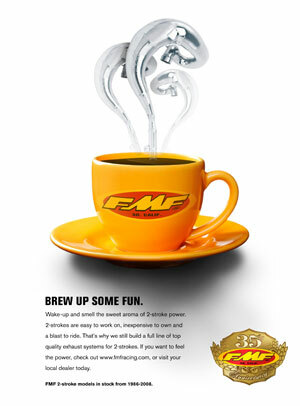 Received a note from FMF racing today. These guys rock! 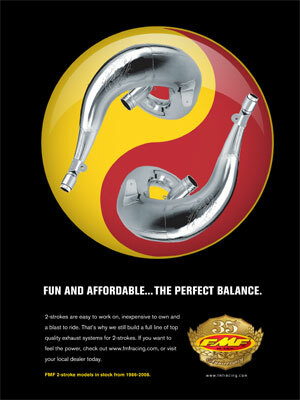 Shown below are the two stroke ads that the great folks at FMF designed in support of two strokes. They are awesome! 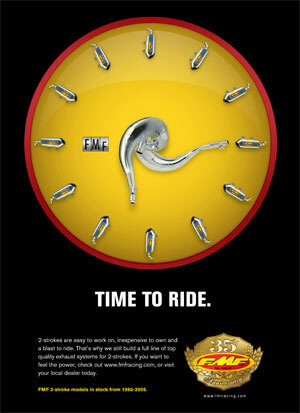 Click on the link under the small photo for a full size image. 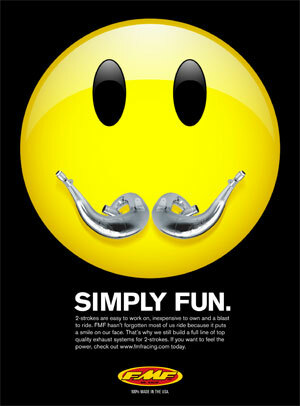 When you need pipes, silencers or anything else for your two stroke please consider using FMF. 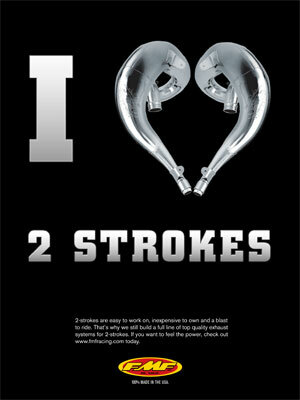 Thank you Donny, Jeff, Dan and Kevin for your awesome support of two strokes!